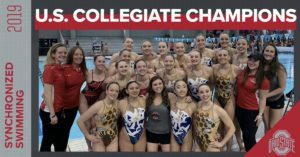 Taking viewers behind the scenes for an up-close look at the dedication, precision and athleticism required to make an Olympic team, Synchro Sisters shows you the sport of synchronized swimming like you’ve never seen it before. USA Synchro has selected Anita Alvarez (Kenmore, N.Y.) and Mariya Koroleva (Concord, Calif.) as the duet for the 2016 U.S. Olympic qualification synchronized swimming team. 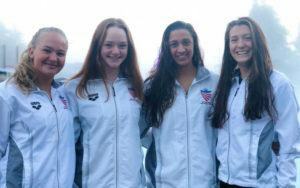 “The girls had more energy, and it was overall a better swim than prelims,” U.S. national team coach Myriam Glez said. May, once barred from competing at international events because of his gender, and former Olympians Christina Jones and Kristina Lum Underwood are USA Synchro’s official selections for the inaugural mixed duet at the World Championships in Kazan, Russia. USA Synchro has announced its duet for the 2015 Pan Am Games next month. Anita Alvarez (Kenmore, N.Y.) and 2012 Olympian Mariya Koroleva (Concord, Calif.) will compete at the Pan Am Games in Toronto on July 9 and July 11. U.S. Senior National Squad members Mariya Koroleva and Alison Williams won silver medals in duet Wednesday at the China Open Synchronized Swimming Championships in Shaoxing, China.